the Beloved Parrot: And no birds sing . . . . 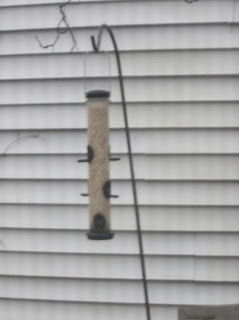 I took this picture yesterday; it's the wild bird feeder outside by the deck. In early winter I keep it filled with safflower, to attract the small birds. It's been full for three days now. 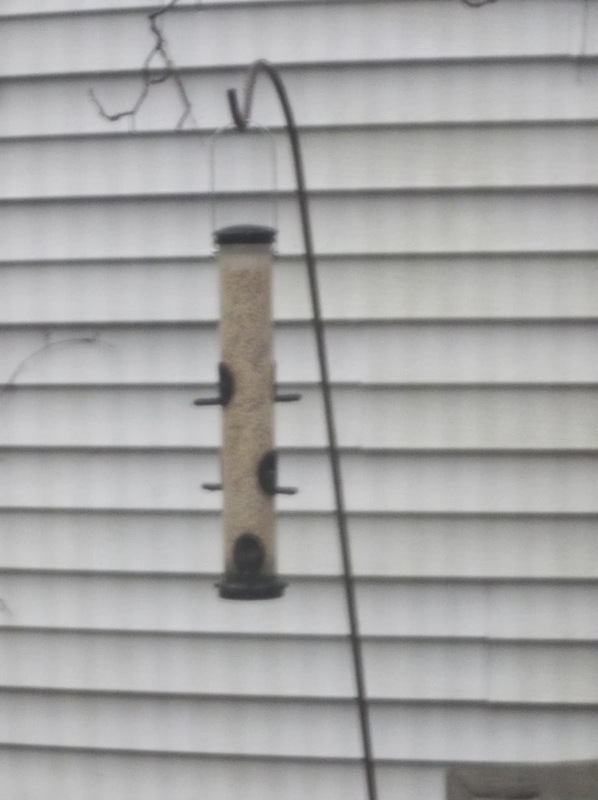 The past two weeks we've had snow, rain, ice, and cold, but no birds have come to feed. I've seen one cat roaming the neighborhood this season, so perhaps word has gotten out about the predator. Or, worse, numbers of wild birds have dwindled so much there aren't any left. A few doves still come to drink from the bird bath, but I haven't seen any of my favorite cardinals or finches flitting around.